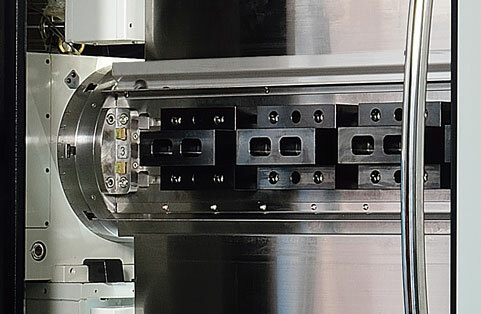 The HM3X horizontal machining center series features high production incorporating with two-spindle or four-spindle and loading/ unloading capability in operation process for high operation efficiency. 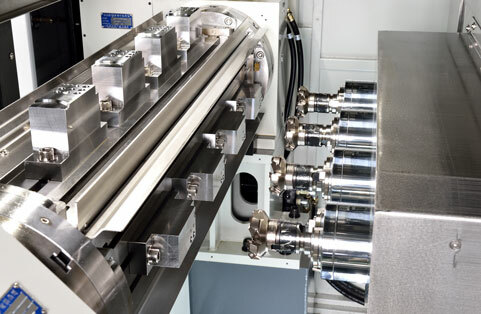 Multiple spindles and four-side trunnion table operation provide higher productivity. Central-positioned Z -axis ball screw, dual servo feed systems and pneumatic-hydraulic counter balance system on Y axis for better rigidity and longevity. 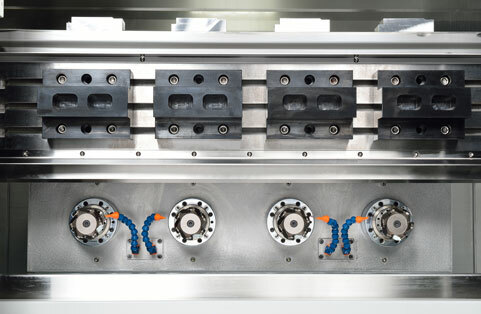 Various clamping configurations; clamping of multiple workpiece on each turnnion; up to four set-ups clamping mechanism; up to eight hydraulic lines or air lines for turnnion. Tool change time 2.8 sec. 2.8 sec. 2.8 sec.